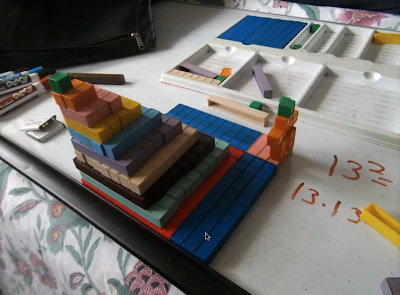 Make learning multiplication fun and easy playing with base ten blocks. How to get multiplication mastered. You will have practice. There is no way around it. But you can make this practice fun. And you can make it easier by using some basic memory tools. The concept of a peg. And working in a more natural progression that complements the knowledge as it is acquired instead of just a jumble of facts in ordinal order. 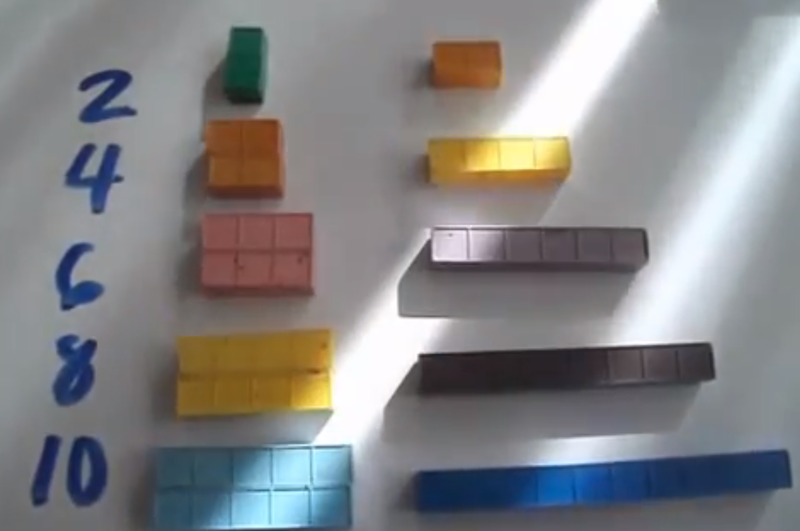 Starting with Square Numbers and Pairs a lot of the multiplication can be understood. Then it is easy to add another for three's and of course 10's and 5's are easy so then it's easy to add one more or one less. For example fours can be thought of as one less than what ever number you were counting by fives...is of course four so 5 x 6 is thirty and one less six is 30 - 6 = 4 x 6 which is 24. Etc. This needs to be re-cut because the fan messed with the microphone but I STILL haven't had time. There are books and worksheets that can help but more than anything you want to PLAY and have fun not beat them to death with math facts that make them hate math and turn them off at an early age. Play with blocks, sing songs do a little each day starting when they are very young and by the time they are 6 or seven most of it will be out of the way. Waiting until 4th grade is INSANITY. Here is a web page of the books Mortensen uses. The facts mastery books are simply more practice and to be used to reinforce the PLAY you do, which should amount to much more time spent than time you spend on the books. Also do some web searches for "Crewton Ramone Multiplication"...there are tons of pages and videos on this extremely important concept. And of course here is the Multiplication page at the House Of Math. I strongly recommend you follow a lot of the links on this page. I know it's a lot but I can't stress how important multiplication is for making "the rest" of math easy and understandable because it allows you to see patterns and count very quickly. Then search "Crewton Ramone Multiplication" and see the plethora of pages and vids I've made.